How do you do? 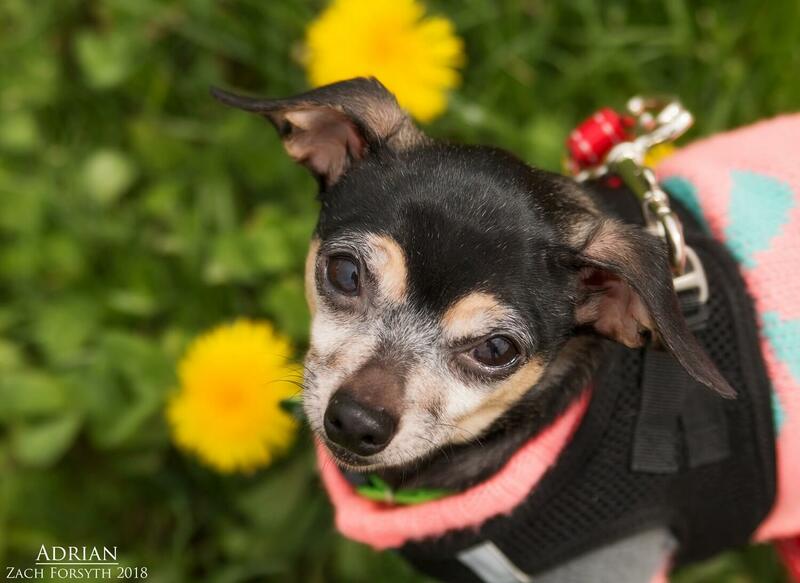 My name is Adrian and I am just the cute Chihuahua mix for you! 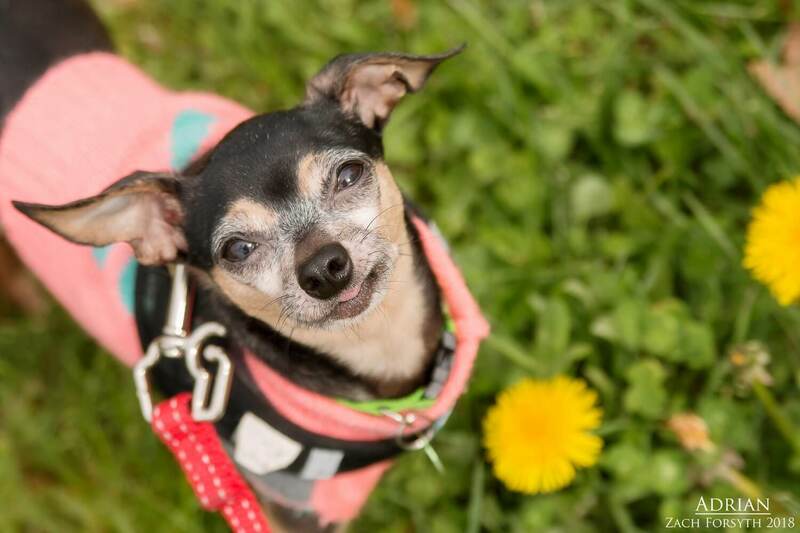 At 12 years old and around 8lbs, I am a sweet little lady who is all about those snuggles and cuddles and snuggles some more! Being in my retirement years, I am done with all the hustle and bustle of being a boxer’s wife, and am ready to settle into an adult only quiet home with people who can give me lots of love and affection. I gain confidence from having another mellow doggy companion around and wouldn’t mind have a furry dog or cat sibling! I am the perfect couch potato and really enjoy watching movies with you, especially on those yucky rainy Portland Spring days, while eating some popcorn and sharing the warm blankets. I am sure you can guess what movie is my favorite (Rocky of course!). Ha! So put down the boxing gloves, grab the snacks, turn on some Netflix and let’s get ready to chill. Fill out an application today, so we can meet! Looking for foster or adoption, I come to you vaccinated, micro-chipped, and spayed with an adoption fee of $300.